If you are here wondering how to use your Althea Points, then you have come to the right page!. 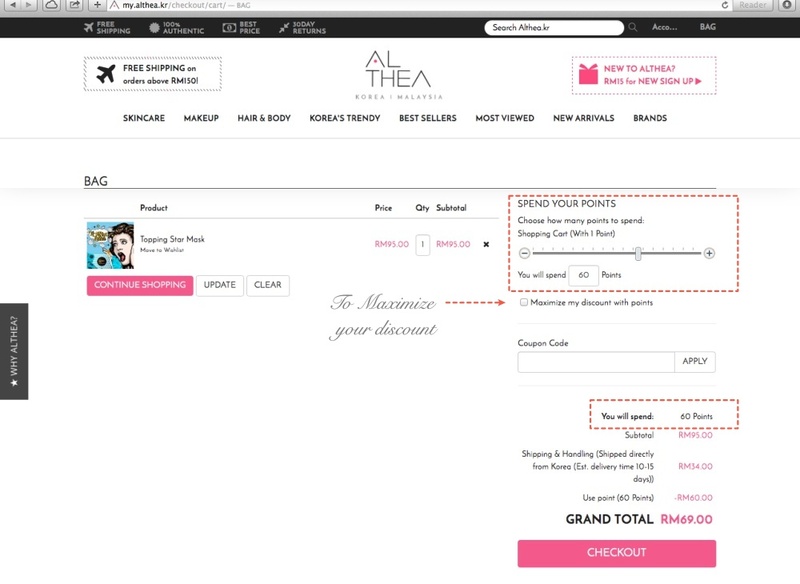 Today, I will be explaining how you can use your points to shop on Althea Korea. Points are usually given from participating in activities on Althea Facebook Fan pages, Instagram @altheakorea and soon the Althea Referral Programme. So be sure to follow Althea Korea on these channels! Please note that you need to log in to your Althea account to check your balance. Once there, go to your account to check your points balance in your dashboard. (eg: the balance is 120 points). You can also view the status of your rewards by clicking on "View My Rewards". Once you have clicked on 'View My Rewards', you will be able to check the status of your points. One of the important details that you may need to check would be to keep track of the expiration date of your points. Points will have a lifespan of 30 days, and if unused, you will not be able to redeem it back. 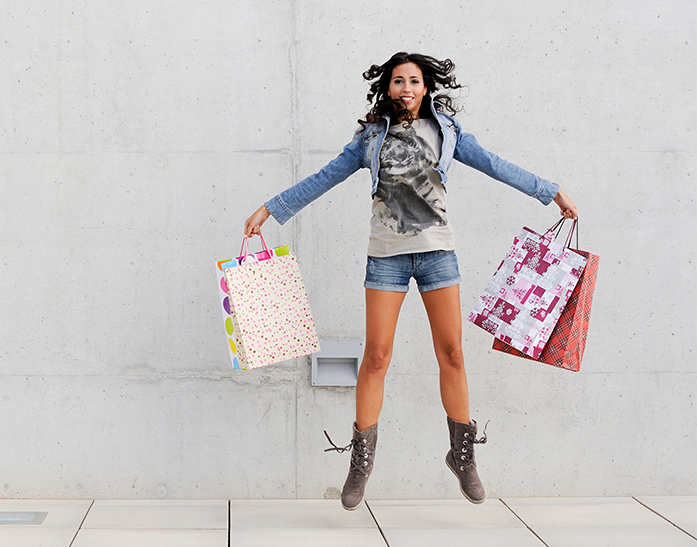 Once you have selected the products that you would like to purchase, click on the 'BAG' on the top right and it will lead you to your shopping bag page. On the right, you will see a point slider "Spend Your Points" to which you can slide to an amount you want to spend. A preview of the grand total will be shown to indicate your final payable amount. Once you are satisfied, proceed to 'CHECKOUT'. 4 | Finalising Your Usage of Points. After clicking 'CHECKOUT', you will be forwarded to the payment page where you will need to fill in the billing and mailing address to ship your order to. Do check on your payment method to ensure you have ticked the 'spend your points' box and the points you would like to spend. Once you are satisfied, select payment option, apply coupon code (if applicable) and click 'CHECKOUT'. Proceed with payment, and you are good to go!. It's THAT easy. Do not hesitate to leave us a comment or question below. 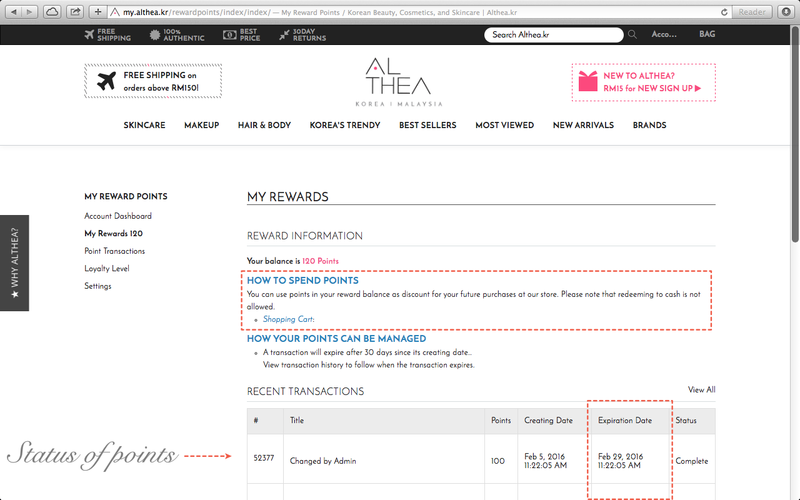 For assistance on issues relating to your Althea Points, kindly e-mail help@althea.kr. Note that your points are not transferable or redeemable for cash. 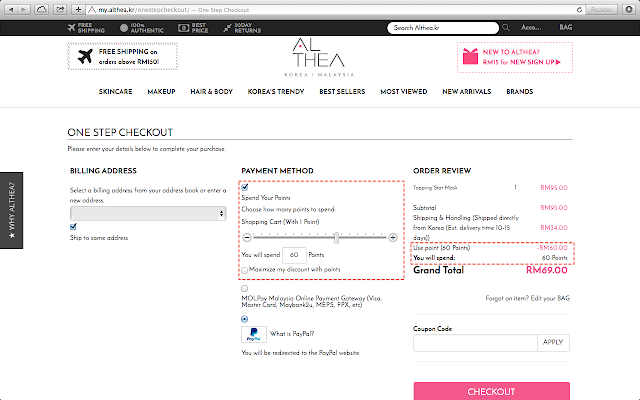 Althea Points are not applicable on daebak, hot / crazy deals, special promotional deals and/or shipping and in the case of extraordinary promotions such as free giveaways. Notice: This post provides general information only and may be subject to change at any time without notice. Same thing happened to me. Did you get your points back? If your order is not successful, your points would automatically returned after a couple of hours or longer (depending on method of payment, which may require the bank to first cancel). I use althea app mobile from indonesia. And i cant find any menu to use my points. How to use my point on app mobile? Althea has horrible customer service. Good luck getting help from them. Hello, althea. I want to ask reagrding my althea point. Today, I accidently chose the wrong method payment. So, I just click the back button. The status of my order is awaiting payment. I want to pay it with the same amount of order but I can't find the way to continue the payment. Can I retrieve back the althea point if it cancel automatically? If you have chosen the wrong payment method, your order is incomplete and thus has been tagged as awaiting payment. It will auto-cancel by itself and points would return to your account. You'll need to make a new order again. Why i can't use my coupon code when checkout? even i have spending 500.000 idr. Oh no! Be sure that your cart doesn't contain promo items as they aren't eligible for coupon code use. If you need further assistance, -please contact us at our Facebook page for more info. Hope this helps! Hello althea I started using althea app last yr and had been ordering since then, but im very confuse as to why i dont get points the last points that was showm was in my first purchase and that was may 2017. After that no points anymore. I just want to know why? Thank you.